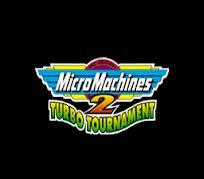 All games in tagged with "Micro Machines 2 - Turbo Tournament"
Micro Machines 2: Turbo Tournament featured cars that require different handling techniques for each course and also hovercraft and helicopters. There are different playing modes including "head-to-head", in which each player earns points by driving a full screen ahead of the opponent. TV presenter Violet Berlin features as a playable driver. The MS-DOS version featured a track editor. A selling point for the Sega Genesis/Mega Drive version was the J-Cart, a cartridge including two control ports, thus eliminating the need for a 4-player adaptor. It also included a 'pad-sharing' feature which allowed 2 players to share a single joypad; thus it enabled 8 players to compete simultaneously, on certain tracks. An updated version of Micro Machines 2: Turbo Tournament was only released in Europe for the Mega Drive entitled Micro Machines Turbo Tournament '96, The updated version featured new tracks combined with some updated tracks from Micro Machines 2. It also featured a track construction kit previously included in the MS-DOS version.